As the Hebrew legend goes, the oil that was found to light the temple should have only lasted for one day, but instead it lasted for a full eight days. Today, during the celebration of Hanukkah, we pay homage to that very miracle with the menorah. 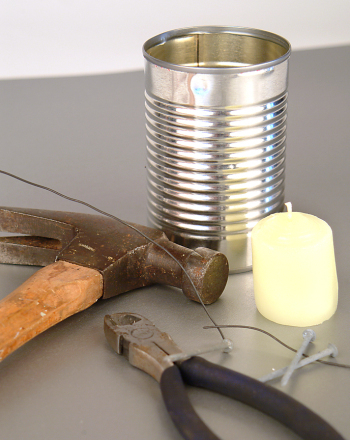 Your child can take this celebration one step further by concocting her own oil lantern! This activity will not only provide an opportunity to engage in a lesson about Hanukkah history, but will also bring up important science concepts. This project demonstrates how lighter liquids, such as oil, float atop heavier liquids, such as water. 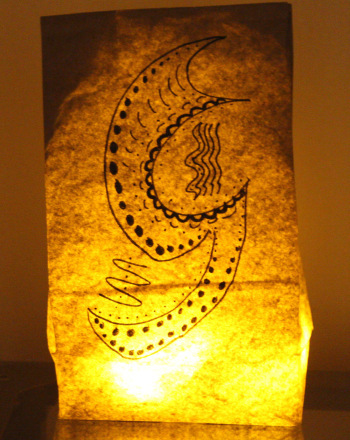 In the construction of the oil lantern itself, your child will be able to put to good use to her creative and artistic skills, which will help her develop fine motor skills. As she paints and decorates her own oil lantern, she will have a perfect holiday memento embellished with personal flair! 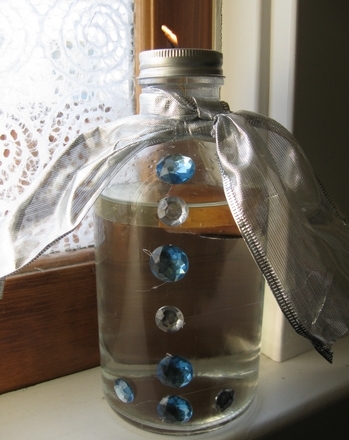 Help your child find a glass jar or bottle for her oil lamp. Try searching for one that has a narrow spout at the top like a soda bottle or beer bottle. Make sure that the bottle has been washed out and is completely dry. Allow your child to peel off any label that was on the bottle and decorate it with paints. Suggest that she paints on a Star of David, or even a Menorah shape. Remind your child that she will be able to see the light best if there isn't too much paint covering the outside of the jar, so she should leave some areas clear. 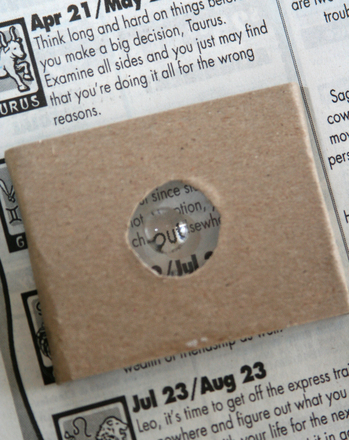 Once the glass bottle has been given time to dry, take the piece of cork and with a needle (you should do this part!) stick a hole through its center, and cut the cork so that it is 1/4 of an inch thick. Help your child stick a piece of waxen candle wick through the hole in the middle of the cork. Make sure there is enough wick poking up at the top so you can light the lamp, with some poking through the bottom too. Let your child pour water into the glass bottle until it is about 3/4 of the way full. 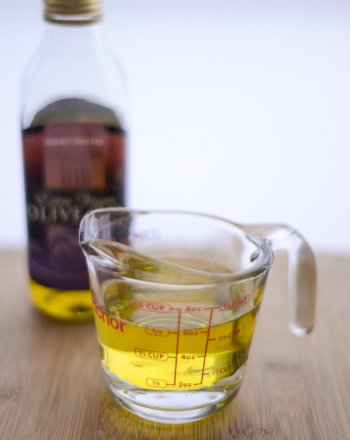 Add a bit of olive oil on top of the water, and fill the glass high enough so that the cork will be able to float at the top and be lit. 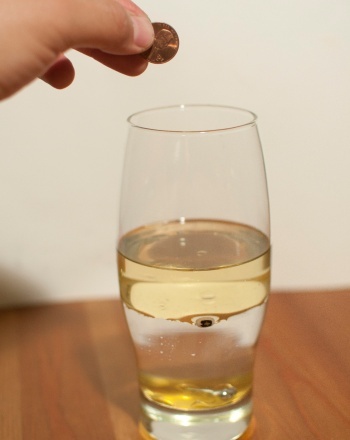 Invite your child to carefully drop the cork onto the oil and let it float there. You will want to wait with your child for at least 15 minutes to let the candle wick take in enough oil. Once you have waited, you will very carefully light the wick and voilà, your child will have her own personalized oil lamp! Remind your child to be careful when working with the oil lamps, and make sure it is high up enough so that it won't be easily tipped over. Both fire and hot oil can severely burn tender skin, so your child must use caution! 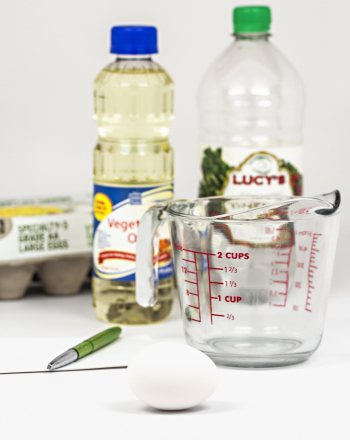 This science fair project idea investigates emulsifiers that allow oil and vinegar to mix. Have you ever wondered how to make an origami envelope? Well then this worksheet is for you! Write a letter then make it into its own envelope! 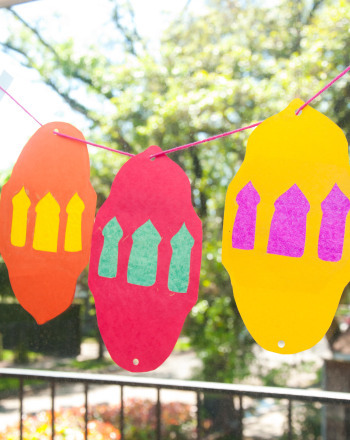 Follow these easy instructions to make a working sundial with your kid! 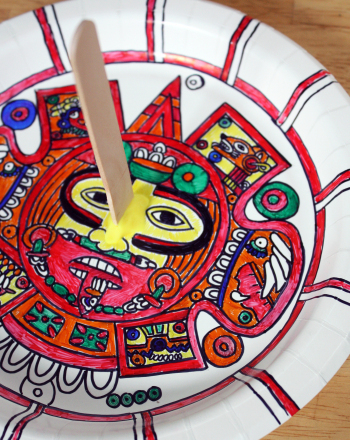 Find out what other cool things the Aztecs created in this activity. This science fair project idea investigates which objects float and sink in honey, water, and oil.